Our motto is, " Patients Always Come First!" We will strive to keep you happy, and give you the very best smile that you deserve. We would LOVE to get to know you a little better, and we look forward to meeting you! Let Us Help You Improve Your Smile! ​A true advocate for healthy teeth and confident smiles, Dr. J. Francis Yoon is committed to enhancing patients’ self-esteem and winning their trust with impeccable, patient-oriented care. Redefining quality dentistry by truly paying attention to her patients’ needs, Dr. Yoon strives to give the patients the most beautiful smile while optimizing their oral health. Her attention to detail and devotion to clinical excellence often means the difference between ordinary dentistry and extraordinary dental care. Clinical dentistry comes natural to her because ever since a child, she excelled at working with her hands, and her fine motor skills still prove to be an invaluable asset especially in treating all the complex root canal cases. She is originally from Seoul, Korea, but grew up in New York City. She obtained bachelor’s degrees in English/general literature and biology and a master’s degree in molecular biology before attending New York University College of Dentistry. After graduating, she joined a group practice in Sun City, Arizona, but eventually moved to Washington in 2003. While working as an associate dentist, she set up the start-up Sammamish dental practice for her husband to run. She is certified in conscious sedation, as well as in advanced cardiovascular life support. Over the years, she has also completed over 350 hours in continuing dental education with a strong focus in root canal treatments. Dr. MacInnes graduated from the New York University College of Dentistry in 2001. He initially practiced in Las Vegas but moved to Washington in 2003. Since then, he has been treating children, teens and adults in Sammamish, Issaquah, Redmond and Bellevue. Many of his patients have moved away, but they still remain loyal patients and continue to seek his service. ​Throughout his career, Dr. MacInnes practiced all facets of dentistry such as endodontics, periodontics, restorative dentistry, prosthodontics, and oral surgery, eventually with an emphasis in cosmetic dentistry and implant dentistry. After moving to Washington, he worked in Puyallup. While working as a full time associate, he planned his ideal private dental practice and scoped out many different regions in Washington. Finally in 2005 he opened his own private practice. He now lives in Bellevue with his wife and two little boys. 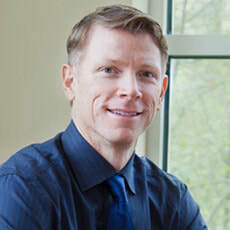 Dr. MacInnes is an active member of the American Dental Association, the Washington State Dental Association, and the Seattle King County Dental Society. Currently, he is licensed in the states of Washington and Nevada. ​​Ellie immigrated to Washington with her husband and her daughter in 1999. She gave up her career as an anesthesiology nurse in Bulgaria to come to the United States. Ellie is fluent in Bulgarian, Russian, and English. She has been working with Dr. MacInnes since 2008. In addition to being an extremely talented dental assistant, she is also an expert in creating the most beautiful crowns using the CEREC® machine. Patients and her co-workers love her enthusiasm, positive energy, and dependability. She lives in Sammamish with her husband. Amanda has been with Dr. MacInnes since 2012. She started as a dental assistant, front office and now she is one of our dental hygienists. 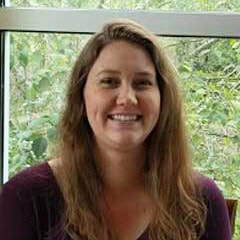 She earned her bachelors of Science degree from the University of Washington in Chemistry and completed her dental hygiene program at shoreline community college. After completing her dental hygiene program, she returned to our practice and currently works full-time. Born and raised in the Seattle area, she likes to run year- round, rain or shine, and enjoys travelling to sunny places. Recently she completed her first trail half marathon in sunny San Diego and celebrated the completion at Disneyland. She enjoys spending time with her family and friends in the weekends, especially with her 1.5 year old nephew. She tends to be the quiet one in the office but definitely enjoys a good laugh. Hi, my name is Annika, and I am so thrilled to be welcomed as a part of this wonderful team! I am twenty-one years old and I am currently attending Lake Washington Institute of Technology to pursue a career in dental hygiene. I love learning new things and am constantly challenging myself to do so. Even in the short time of being with Dr. MacInnes and his team, I can see the huge amount of care and passion that is provided for our patients and I feel honored to be a part of it. In my spare time, I enjoy lap swimming and staying active. I love animals and look forward to getting my own dog soon! As front office coordinator, Patti takes pride in caring for the patients from the moment they walk through the door to the time they leave. Joining the dental field in 2008 as a dental assistant, Patti was drawn to the fulfilment of working closely with patients to obtain top oral health. After gaining some experience in the dental environment, Patti learned that she loves working in the front desk and has since enjoyed every moment of it. Patti’s goal is to incorporate her customer service experience and knowledge to best serve the patients and their families. She is grateful to work in such a fun and caring environment and she learns something new every day. Outside of the office, she is a wife and mom to two beautiful boys. Patti loves being outdoors, hiking, traveling, watching movies and trying new recipes! 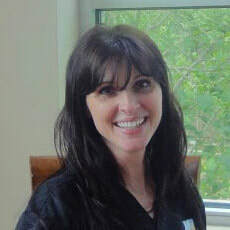 ​Crystal has been a registered dental hygienist for over a decade and has been working our for quite a few years. 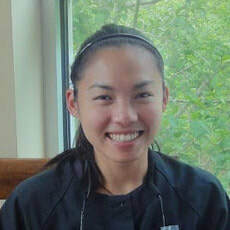 She is a proud Washington State University Cougar, and earned her hygiene degree from New York University College of Dentistry. She has also completed over 250 hours of continuing education courses, including 64 hours of advanced hygiene instrumentation from the University of California Los Angeles. She is a two-time North American Natural Body Building Bikini competitor, has a certification in sports nutritional counseling. She is also a spin and weight lifting instructor with a CrossFit Level 1 Instructor certificate. Last but not the least, she is also a recent MBA graduate. She has a passion for fitness, traveling, golf and living life to the fullest. ​Eugene Usachov graduated with the honor of being the top of his class, and has been working as a hygienist for many years with Dr. MacInnes and Dr. Francis Yoon. His unique sense of humor, warm personality, and gentle touch has endeared him to many patients. Prior to being a hygienist, Eugene was an engineer in Ukraine. He is proficient in Ukrainian and Russian. Currently, he is studying to become a dentist while working part-time as a hygienist.